The ups and downs of dealing with a mental illness can be like riding on a roller coaster. The highs and lows can be very unpredictable. In the years before I was diagnosed, I had done some things that I was not proud of. I would beat myself up and then never “let it go” or forgive myself for what I had done. This alone was exhausting to me. During a bout of mania that I had, I spent over $200k. Yes, that’s right, $200k. Once the mental fog had subsided and I realized what I had actually done, I was so mortified. I would take it a step further and say that I was disgusted with myself. How could I squander away so much money and not even realize what I had spent most of the money on. Giving myself the benefit of the doubt was something that I had never been accustomed to doing. But when I looked at my situation more closely I had to show myself a little more compassion than I had done over the years. I was a 24 year old young parent, who had just lost her parent and caregiver. I found myself in a very traumatic situation and had not dealt with my grief and loss at all. To some on the outside, it looked like I was just out of control, but as I looked at my situation more and more there were definitely some signs that I needed help. 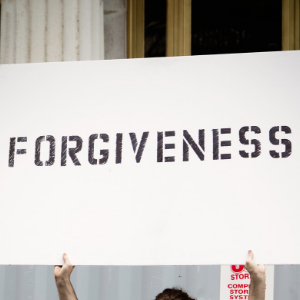 I was unable to forgive myself and show myself any compassion because of the things that I had done. The money was the largest one for me. Little did I know that carrying around all of this frustration and anger with myself over this money that was long gone was not going to help me. In fact it was going to be a large hindrance to me. It was. I had to let go. Letting go would be one of the steps that would lead me into the direction of awareness and recovery. It took a long time. When I say a long time, I mean a really long time, but I was able to let go of it and forgive myself. I also take this experience as something that I can learn from and what’s better than that. Step Outside of Your Comfort Zone, But How? How Many Times have you heard someone say that? Just step outside of your comfort zone, and you thought to yourself, that sounds great and all but how do I do that? I can tell you that I have been one of those people who had that very same response. Gurus and coaches all tell you that stepping outside of your comfort zone is a step in the direction towards “living your best life” ! Another term that sounds great but actually confused the hell out of me when I first heard it. As you may or may not know, I have been on my mental health journey, for 2 years now. This journey for me has doubled as a self-awareness and self-discovery journey. It has been filled with ups, downs, highs, and lows. I have learned so much about myself, and this is literally one journey that I would never want to change. It has been life changing. I had to go through a journey of self-awareness to discover what my hopes, dreams and desires. This allowed me to discover my comfort zone and the area just beyond that region. That area is where all of the magical things would happen, That is what I had heard so many times before and now it was time to start testing this theory out. I was, for so many years accustomed to doing with friends or family. If I wanted to go to an event or restaurant, I would see who I could get to go along with me to make my experience more enjoyable (so I thought) and definitely more comfortable. It was almost unheard of to go anywhere alone. It was just something that I had never really done. I mean, I would of course go to work alone, but that was about it. I truly let others dictate my flow and my enjoyment. If I didn’t have a buddy to roll with, I guess I was not going. 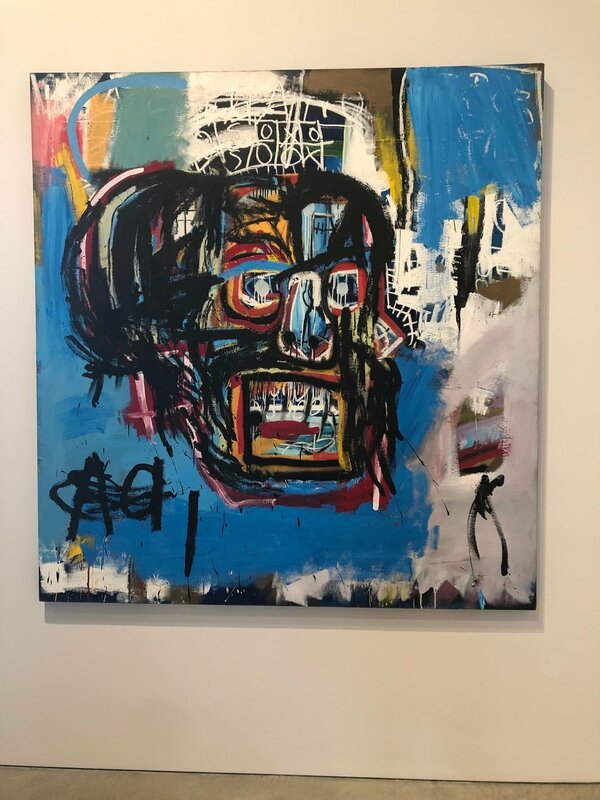 About a month ago I heard about a Jean-Michel Basquiat exhibit that was taking place in NYC that I really wanted to see. I asked my friends if they wanted to go and of course they agreed. Here was the problem, the show was sold out until the end of the exhibit. But, I decided on a whim that I was going to get on the waitlist to see if I could get a ticket to the show. I figured that it was a long shot and that it probably was not going to happen. Well, guess what, it happened! I got a wait list ticket email at 11pm last Thursday night for Friday afternoon. I didn’t realize this until Friday morning but I was in! I was excited and anxious and this was totally out of my comfort zone. Needless to say, I had a really great time. Once I got to the gallery, the anxiety had subsided. I learned something about comfort zones on this trip to the city. When you allow yourself to stay within comfort zones, people can unintentionally control you and your destiny. So it is so important to be mindful of what it is that you want at all times. It is okay if your wants and dreams change, but the most important thing is that you are in control. You are in control. How important is dealing with past issues in order to maintain your illness ? Well if you ask me I say it is very very important. Let me explain why I think this is the case. When I made the decision to begin my mental health recovery journey, I did not know that I would be simultaneously starting my self-awareness and self-discovery journey as well. Making this decision was one of the best decisions and investments that I could have ever made for myself. When I started to see my see my therapist, she would ask me things about my past, my parents, and about old relationships. I would think to myself, “Why is she asking me this?, this doesn’t have anything to do with being bipolar?” She would ask me to talk about my mother, and her passing (which is my total weak spot). I would find myself with a face full of tears and a handful of kleenex. I felt like it was totally pointless to talk about my past relationships and my childhood…..
when all I wanted to talk about was how to fix myself and my anxiety and my bipolar disorder. What I did not realize was that talking about my past and where I had been would help with where I was going and what my future would be like. Looking at the past and the experiences that I had would allow me to discover who I was as a person, these were all very important things that I needed to evaluate on this journey of mental health recovery and even more important on my journey of self-awareness. Who I was as a person played a part in how I responded to my illness and my symptoms, and all of this information would allow me to be more informed and educated when taking care of myself in the present and the future. I have been on this mental health journey for over a year and a half. I have for the last year and a half been consistently taking care of my mental health and mental illness. As I have said many times before, maintaining a mental illness is a lifestyle. Once I realized that this was a lifestyle, that is when things started to look up for me. This illness is a part of my life and maintaining it is a part of my lifestyle. I have learned so much about myself and my illness on this journey. I am still, learning new things everyday and I enjoy the discoveries that I make. I want to share my top five mental health care tips that I have compiled over the last year and a half. This is not everything that I have learned but I think this is a good list to use when navigating through the oh so tough journey to mental health recovery. Maintaining a Mental Illness is a Lifestyle - I have said it about a thousand times but this is so true. Maintaining a mental illness is a lifestyle change. There are changes that have to be made in order to maintain good mental health. Realizing this is a step in the right direction. Find A Good Mental Health Care Team - Do you have a hairstylist, or barber that you trust your tresses with? Are you so committed to him or her that you wouldn’t let another lay hands on your hair? That is how I feel about having a good mental health care team. Your brain an important organ and having a team that specializes in caring for your brain is a must. Eliminate Negative Influences in Your Life - This may seem like a no-brainer but I have to say it. All negative influences and relationships should be considered and evaluated. Mental Illness can be alot to deal with. The emotional changes that occur can take a toll. Having factors that are not conducive to maintaining a healthy mental lifestyle will make your journey much tougher. Get Some Rest - Again this one may sound like it is obvious, but we can take our bodies for granted. Getting the proper amount of rest essential. That not only means going to bed at night for the recommended 8 hours of sleep, this also means to listen to our bodies when we feel tired or exhausted. Do Things that Make You Happy - Do you have hobbies that you enjoy? Have you thought about it? If you have not, it is time to make a list of the things that you do. Do them, as often as possible. I could go on for days talking about all of the lessons that I have learned but I am going to stop here. There is more where that came from. But, if I could offer one piece of advice to go along with this list it would be this: Mental Health Recovery is Possible. The quick answer is everyone. Being diagnosed with a mental illness is one of the most difficult things that you can deal with. When I was diagnosed, I wanted to get as much information as I could possibly get my hands on regarding bipolar disorder. I wanted to how I could live with it and what I would do to maintain it. I was looking for hope. I found a few articles online and I also found a magazine called BP Hope. It is a magazine that tells the stories of people who live with bipolar disorder. This what exactly what I needed because I figured if so many others could live successfully with their illnesses, then so could I. While reading about these awesome people in a magazine were great for me to see, I never found people in real life that I could relate to, who also suffered from some sort of mental health disorder. My need to connect with others who shared a situation that was similar to me was overwhelming. I wanted to be around people who were high functioning, had families, careers, and also a mental illness. I wanted to feel like I was not “abnormal” or the only one in the world who suffered in silence. I wanted a connection, and I was determined to find it. I searched high and low for a support group that I could attend with people who could relate to me. I did find a support group, and it was nothing like I expected. Now don’t get me wrong, the people were very nice and they were polite and all of that. The thing that I did not like about the group was that when I would leave, I felt more sad and depressed than when I arrived. I was always under the impression, that support groups are supposed to help you through your tough time and also offer hope along the way. That is not what I felt. I felt like I was doomed and that I would live a sad, grim existence based on the folks that I had met in this support group. If I could help it, I never wanted anyone to feel the way I did during my support group experience. I have created an online support group called the Sanctuary Support Group. I created this group to combat the feelings of loneliness, and isolation that I felt so many years ago. This is a safe place for sharing hope, inspiration and experiences with others who live with a mental health disorder. The group will meet once a month, and the next meeting is scheduled for January 19, 2019. For more information on the Sanctuary Support Group Virtual, please visit the link below.